In November and December 2015 we were hard at work with a major update of the IDX StarNET Gateway. Firstly, we moved the entire gateway logic into our IDX 8 Data Exchange framework, which has a couple of benefits. The gateway is now part of the growing IDX 8-based software gateway family that is operationally proven yet has powerful configuration capabilities that the old text-file based configuration approach just won't match. IDX 8 also contains a number of existing connectors that we felt would be beneficial to have in the StarNET world, such as MODBUS RTU/TCP. We also added two new StarNET interface types to address the increasing number of requests for ESP communications. So the gateway can now also act as both an ESP Tributary and Controller in the standard J/K table exchange mode at all the standard ESP baud rates via one (or more) of the built-in RS-232/422/485 serial ports. A combination HDLC/ESP interface was commissioned and tested at US Steel’s East Chicago Tin mill in December and is now running live as a replacement for an old COMsoft SNL-based solution. 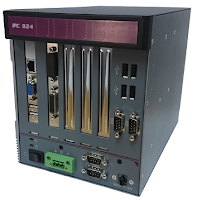 Finally, we moved the StarNET gateway to a new hardware platform that allows for greater flexibility on the expansion side of things, meaning practically any fieldbus with an available PCIe/PCI interface can now be accommodated inside the gateway. We continue to add interfaces by popular demand or when customers explicitly require a particular type of connection. Looking forward, we hope to add a StarNET HDLC Master implementation in the not-too-distant future as we currently already have a stand-alone implementation we use for all our testing purposes.